wt. 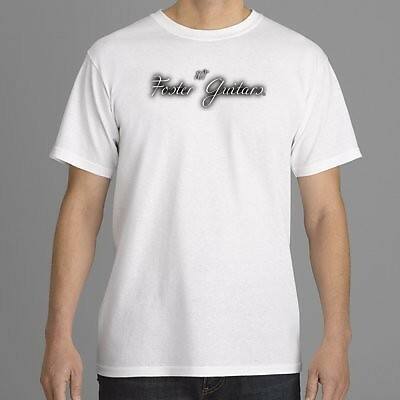 Foster Guitars signature T-Shirt 2017 white "Size Large"
wt. 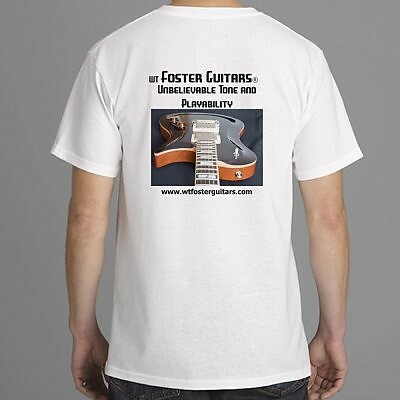 Foster Guitars signature soft T's, Logo on front Guitar on back. I will ship with tracking number to the listed regions. To negotiate shipping rates to other locations. We ship international, please send me a message.